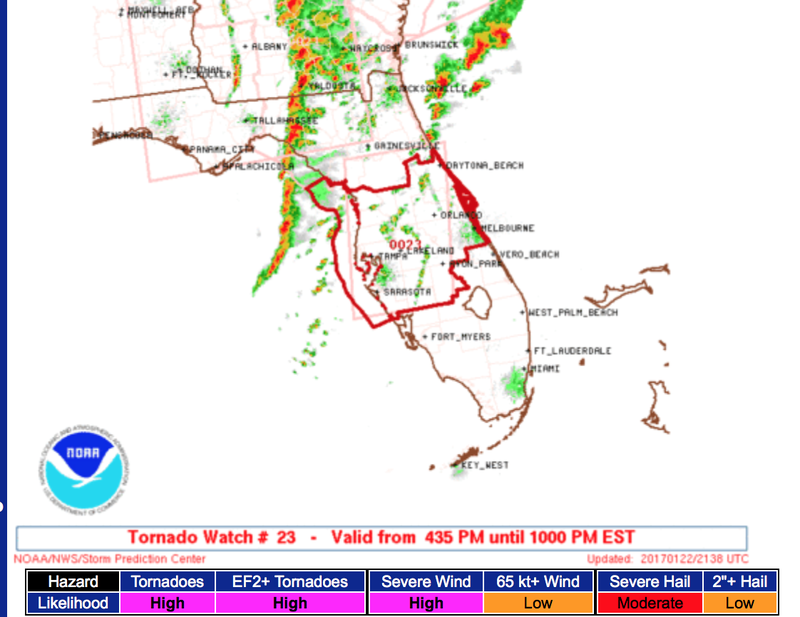 According to SPC, there is a high risk of a violent tornado. This includes Orlando, Tampa and Daytona Beach. Please monitor for warnings as the line of thunderstorms moves onshore and strengthens.